A collective sigh which was a mixture of relief and joy was heard in Mullinahone at around 1.20am on Sunday morning last. It had just been announced on local radio that Eddie O’Meara, Ballydonnell had been returned as a member of the new 40 people Tipperary County Council. Eddie election came at the end of a long day and saw him reach the quota with 1,418 votes and become the third member for the Carrick-on-Suir area to be elected. Three more members were elected after Eddie, but none of these reached the quota. 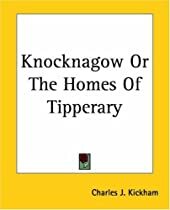 When the first South Tipp Co. Council was elected 115 years ago, in 1899 P.F Mullally of Kyleglanna was elected for the Mullinahone area. P.F. was re-elected to the 2nd Co. Council in 1902 and became it’s Chairman. It is nice to see another Mullinahone man elected to the new Tipperary Co. Council all those years later. Eddie, himself was elected to the now old South Tipperary Co. Council in 1999 after a period of 71 years when no Mullinahone person had been elected. Eddie was re-elected in 2004 and again in 2009. He has always been and Independent Councillor and has now been elected for the 4th time. The local Community Games running events took place in the Soccer field on May 9th. Last week we gave you the Girls results. This week it is the turn of the Boys. U6 lst John Costello, 2nd Josh Britton, 3rd Luke Britton, U8 lst Killian Direen, 2nd Alex Britton, 3rd Ned O’Meara, U10 lst Sam Rowan, 2nd Killian Lowry, 3rd Liam Doyle, U12 lst Josh Rowan, U14 lst Martin Kehoe, 2nd David Gunn, 3rd Stephen Cronin, U10, 200m, lst Sam Rowan, 2nd Adam Doyle, 3rd Liam Doyle, U12 200m lst Josh Rowan, U14 Boys, 800m lst Martin Kehoe, 2nd David Gunn, 3rd Stephen Cronin. Well done to all those who took part. The last local lotto jackpot draw took place on Monday l9th May. The numbers drawn were 4,6,10 and 28. We had no jackpot winner, but 2 winners shared the match 3 prize of €150. Congrats to Seamus Moloney and B. Wilson. Next draw will be on Tuesday June 3rd when the jackpot could be worth €4,900. An Art Exhibition by Margaret and John B rennan, Gurteen has been taking place in Kilkenny Library, John’s Quay since 6th May. The exhibition will conclude on 6th June and is well worth a visit. Enrolment forms are now available for children wishing to start school this September. Contact Liz at 052-9153542. An open night will take place in Poulacapple NS on Tuesday 27th May at 7.30pm. Prospective new families are welcome to view the school. Accepting enrolments for September 2014 and the future. Congratulations to Aoibhe O’Shea who was a member of the victorious Tipperary Minor Team that beat Waterford in the Munster Final recently in Fraher field , Dungarvan. Aoibhe lined out at corner forward. Four weeks earlier Aoibhe along with Aine Dunne won the U16 Munster Final against Limerick with Aine playing at corner back and Aoibhe playing wing forward. Best of luck girls in the All-Ireland semi finals. Martin Kehoe, Oisin Drennan and Bailey Grace were in the South Tipp U14 hurling panel which took part in the Peadar Cummins Tournament last weekend. While they beat West Tipp in the semi-final, they lost the final to North Tipp. This follows a Munster success of South Tipp U16’s recently. This is the firsr win of South Tipp in the Munster Interdivisional since the glory days of Paul Curran and Eoin Kelly in 1997. This year’s South Tipp panel included Colin Shelly, Darragh Kelly and Enda Keane. Well done to all concerned. No morning Mass Wednesday or Thursday this week. Adoration as usual from 11am to 9pm on Thursdays. The Rosary will be said at the Callan Road Grotto at 7.15pm each week evening for the remainder of May. The death took place last week in Galway of Mary Gayson, formerly Ballyduggan. Condolences to the extended family. Anniversary Masses the coming weekend Saturday 31st May at 8pm Billy Gahan, Killaghy, Sunday 1st June, 9.30am Michael Hickey, Bawnavrona, Sunday 1st June at 11.30am, Sally and Michael Scott, Bawnavrona. May they rest in peace.